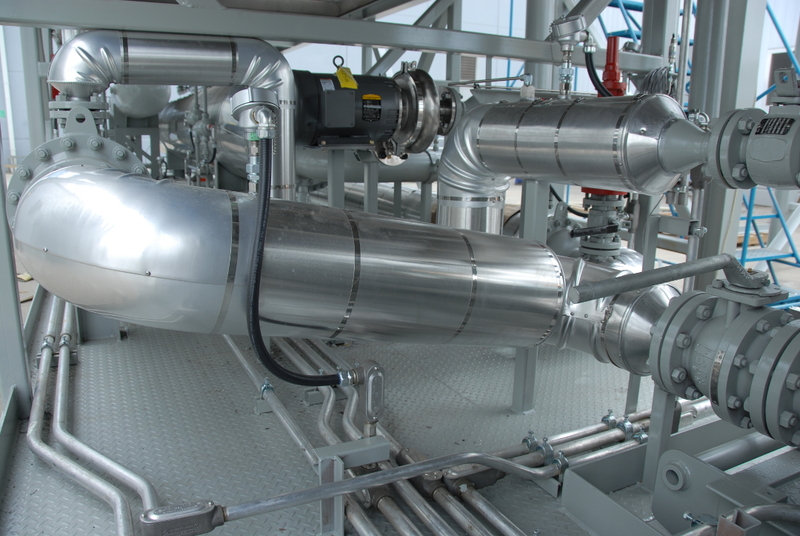 GNP has developed a waste heat to clean-power system that recovers waste heat from a natural gas compressors reciprocating engine and if additional power is required from both the reciprocating engine and the compressed gas. 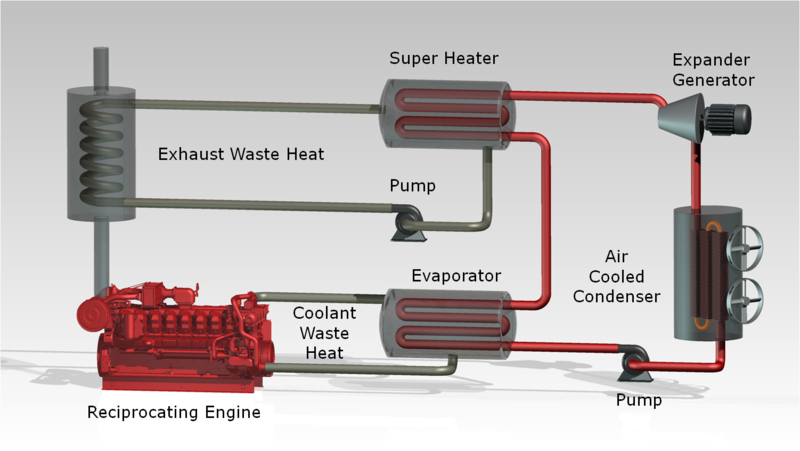 The following image shows how GNP utilizes the waste heat from a reciprocating engine. The EXPANDER system is based on Organic Rankine Cycle (ORC) technology. It is a process that converts heat to mechanical work, typically shaft horse power that can be used to generate electricity or drive other equipment. The traditional Rankine cycle uses water as a working fluid (also known as propellant). ORC is a variation of the Rankine cycle differing from the traditional Rankine process through the use of organic propellants such as propane, pentane, butane, etc. to drive an expander. Using a high molecular mass organic working fluid, with a lower boiling point than water, allows us to efficiently utilize low temperature heat sources to drive an expander. 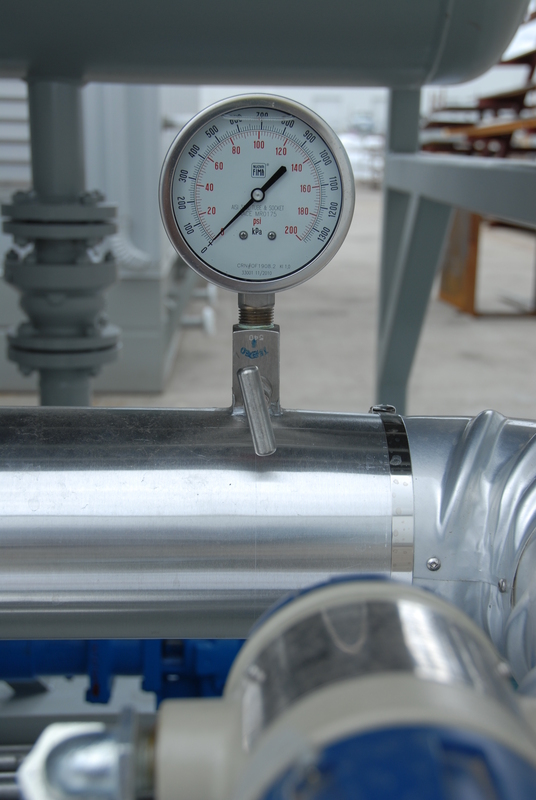 Specifically, the GNP systems can recover heat and generate power from any heat source (whether liquid or gaseous) that is greater than 175°F. ORC is a well proven technology with hundreds of installations globally - primarily in geothermal power generation systems. 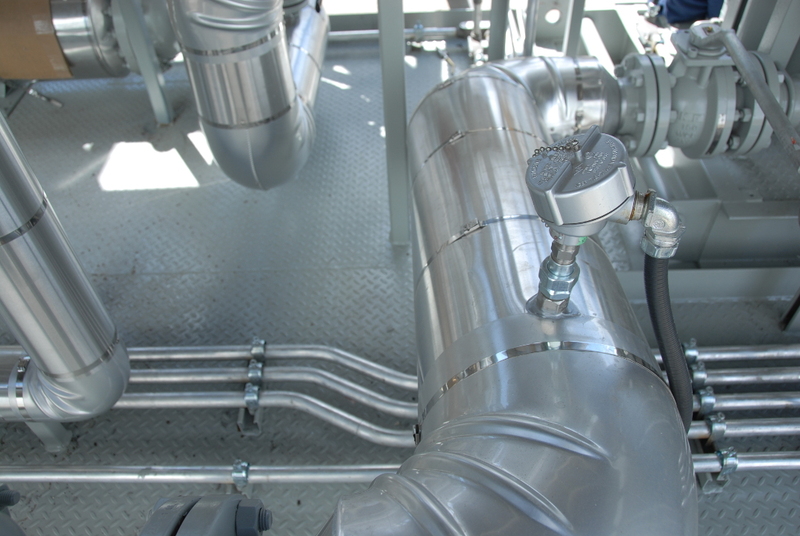 GNP has designed its EXPANDER system using ORC technology specifically for an oilfield environment, to the requirements of our customers.